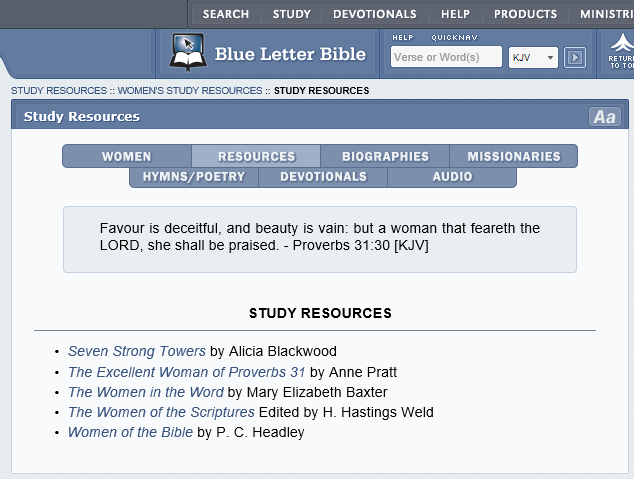 The Blue Letter Bible carries a treasure trove of resources for women. A favored link is "Women in the Word" by Mary Elizabeth Baxter - an early 19th Century writer far ahead of her time. In her commentaries, Mary Elizabeth Baxter gives us anointed insights on the women in scripture that inspire and instruct the reader. Now this is just one page spotlighted here. There are individual devotionals, commentaries, audio resources and many other opportunities by which you may lean into the drawing power of the LORD. 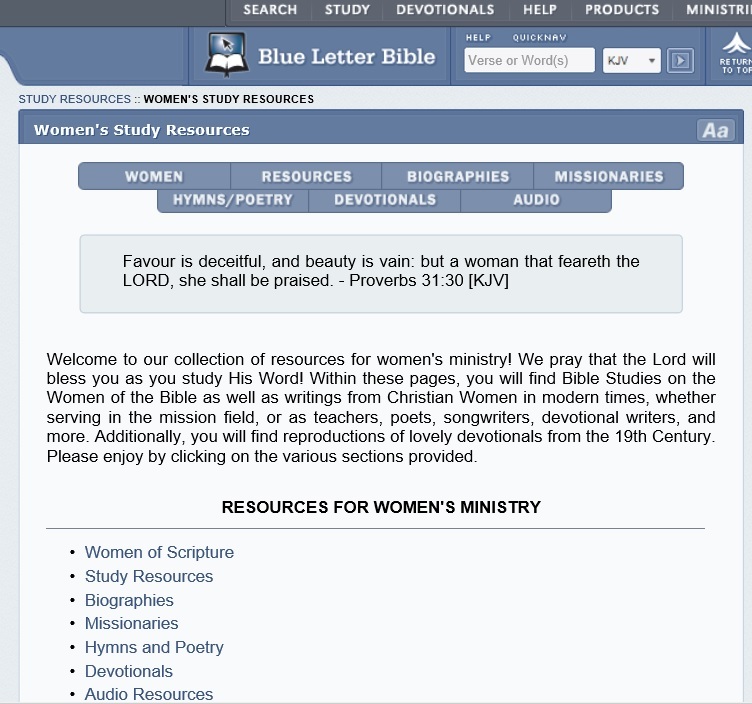 Let ALL the Women's Study Resources in the BLB challenge you, as women of God, to increase your own knowledge of the Word and Person of the LORD Jesus Christ.